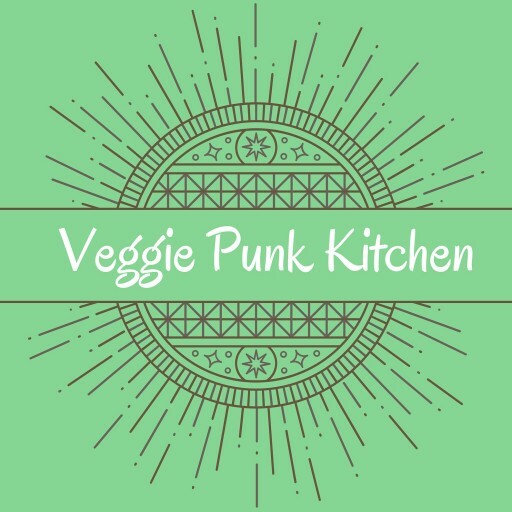 Vegetarian cooking to a punk soundtrack. Feisty Falafel is named such because of the fiery spices I added. The creamy yogurt, cilantro, and tahini sauce with fresh squeezed lemon tempers the heat perfectly. Feisty Falafel is the outcome of much experimentation. Deep fryer, skillet, waffle iron, oven baked…I’ve tried them all. Dry & canned chickpeas, butter beans, mung beans, and all sorts of different veggies and spices. This is my spicy version of the traditional recipe. When I used to go out to check out bands a lot more often, the streets were usually crammed with food cart vendors hoping to feed the late night crowd. I always searched for the falafel cart, hoping to find the perfect, portable pub crawl food. The best falafel I ever had was from Naja’s Place on the Redondo Beach pier. 88 beers on tap, live music and excellent bar food. The fresh pita bread & hummus were so, so good. I enjoyed many afternoons there in the warm California sun. 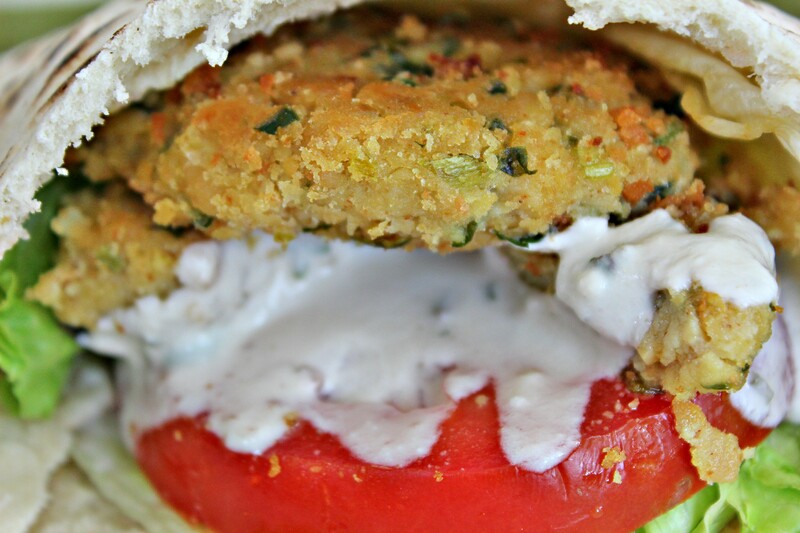 I tried to emulate the fantastic falafel of my youth with this recipe. So many delicious possibilities! I should just make up all these batters, so I can have them waiting in the fridge when I want to whip up some snacks. 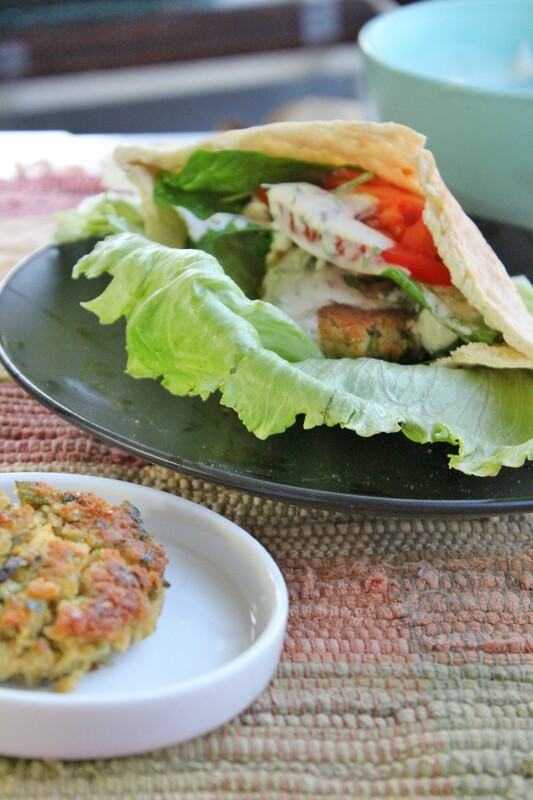 Using dried chickpeas eliminates the need for flour or other binders, giving you falafel that is light and crisp. Letting the falafel dough rest after grinding allows starch to seep out, making it easier for the balls to retain their shape. Making small balls gives you a better ratio of crisp exterior to moist interior. You’ll want to serve immediately alongside some yogurt-tahini sauce and/or hummus on the side, or stuffed into pita bread with tomatoes, cucumber, pickles, and shredded cabbage. If you want to make your own pita bread there is a great recipe available at The Kitchn. Stir it well and refrigerate until ready to serve. 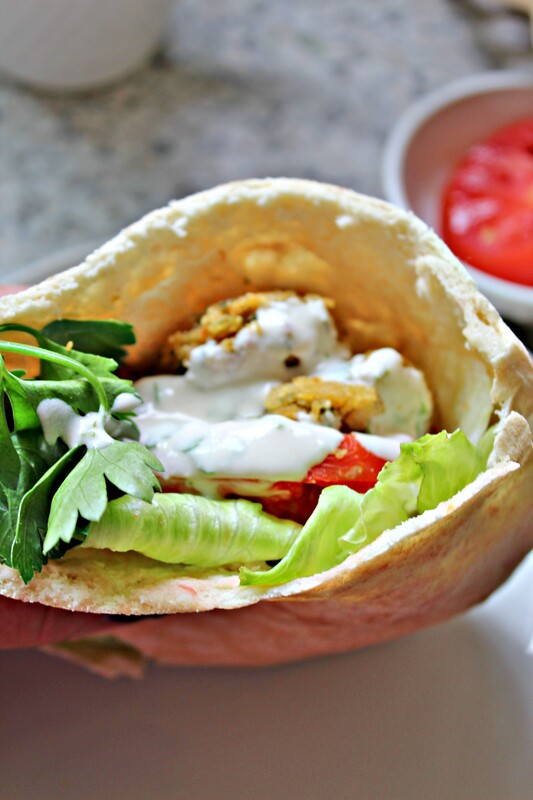 I love spinach so I stuffed it into my pita with tomatoes and cucumbers topped with the yogurt-tahini sauce. You be you and dress up these amaze-balls however you like. 1 small hot pepper - seeds removed, diced. Rinse chickpeas and place in a large bowl. Cover with cold water, enough to allow the chickpeas to triple in volume. Cover and let stand at room temperature overnight. The next day, drain, rinse, and carefully dry chickpeas in a salad spinner. Combine chickpeas, herbs, pepper, scallions, garlic,and salt in a food processor. A handful of the mixture squeezed into a ball should hold together. If not, process a little more or add some breadcrumbs. This will help the balls retain their shape better once formed. Scoop out heaping spoonfuls of the mixture into your hand. Gently shape each into a ball and place them on a clean plate. You can use a deep fryer, just follow its instructions. .
Heat oil over high heat . Carefully lower balls into oil one at a time, allowing space between each ball. Allow to cook until well browned on bottom side. Then flip until browned on second side. Transfer cooked chickpea balls to a paper bag–lined plate.